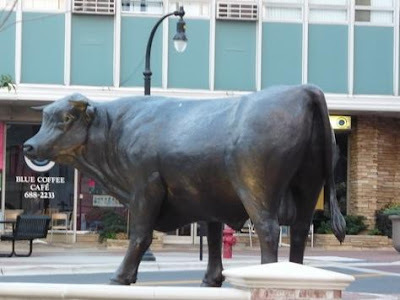 Your Connection Realty: No Bull...There is a lot happening in Durham this weekend! If you want a kick start the weekend join us today at Piazza Italia between 4-6:00 for Happy Hour. This is a great restaurant located in Brightleaf Square so stay and treat yourself to dinner. Paintings and sculptures. FREE admission. Film about African-American, gay pacifist Bayard Rustin. With director Sam Pollard. FREE. Bay 4 Smith Warehouse, 114 S. Buchanan Blvd. Learn about about Chinese culture, communication styles and customer service practices. There will be engaging activities, videos and a panel of Chinese students and scholars. FREE. Duke University International House, 2022 Campus Dr.
Find healing relief from fear, stress, worry, chronic pain, anxiety, panic, feelings of unworthiness, and guilt. Cost $20, $15 RRC members. Stedman Auditorium Duke Center for Living Campus, 3475 Erwin Rd. The author will read from and sign copies of his new book, "The Last Great Game: Duke vs. Kentucky and the 2.1 Seconds That Changed Basketball." Admission $7 (with $3 membership)..
Folk/bluegrass. Followed by Leaving Venus. FREE admission. Retrofantasma is a monthly film series of double-features dedicated to bringing classic horror movies back to the big screen in 35mm. Tickets $7. Carolina Theatre of Durham Inc., 309 W Morgan St.
A portion of the proceeds will go to support the Wounded Warriors Porject Admission $5. Tickets $12, $10 students & seniors. Assertive, precise, and expressive of a timeless yet daring sensibility, the rigor and historical depth of Marsalis’ music is unparalleled. In this home date, the superb Quartet stretches out for two nights of refreshed standards and classic originals, helmed by the most trustworthy arbiter of the state of the art. Tickets $44 & $52, $5 Duke students. Bring your mopeds, modern auto scooters, motorcycles etc. Rally is FREE. Party Saturday night. See website for full schedule. Contact: incriminators@series1studio.com. 8pm-until F, 10am-2am Sa, 10am Su. Featuring a live art show, video production, film and community discussions, poetry jam, video game tournament and more. FREE admission. An Evening w/ Jessy Carolina & The Hot Mess. Admission $10, $8 in advance. Proceeds benefit the Alliance AIDS Services - Carolina. Tickets $20 (advance purchase recommended). An evening of long-form improvisation. Silliness with a purpose!. Tickets $10. With Old Flings / To Hell with Babe Ruth. Admission $5 (with $3 membership).. Ten years in the making, the Kickin Grass Band has made its mark on the roots music scene with strong voices and original songs that reflect the depth and breadth of the human experience. Celebrate their 10-year anniversary with this special hometown concert with appearances by the Apple Chill Cloggers and band members from the ensemble's past. Presented by The Carolina Theatre & Pinecone: Piedmont Council of Traditional Music. Tickets $15. 10mi & 7km races. Proceeds benefit the Little River Regional Park. Registration fee $35. Pollard will show pieces from the Katrina documentary "When the Levees Broke: A Requiem in Four Acts;" "Brother Outsider: The Life of Bayard Rustin;" "Chisholm ’72: Unbought & Unbossed," about legendary New York congresswoman Shirley Chisholm; and "Slavery by Another Name," a feature documentary for PBS that will make its debut at the 2012 Sundance Film Festival. FREE and open to all..
Center for Documentary Studies at Duke University, 1317 W. Pettigrew St.
Meet Lucrezia Borgia: Pawn or Poisoner? Lucrezia Borgia will present her own perspective on her much-discussed life and the options available to aristocratic women in Renaissance Italy. The discussion that follows will be led by Dr. Sally Ann Drucker, who previously participated in programs on Emma Goldman and Rosie the Riveter. FREE admission. Southwest Branch Library, 3605 Shannon Rd. "Lights, Camera, Murder!" a comedy whodunit paired with dinner. Reservations required. Cost $68 per person includes a glass of wine and a three course dinner. Tax and Gratuity also included. Just drive through, and staff will unload. Nearly all electronic devices with a cord will be accepted (TVs and microwaves are ok, but no larger appliances or appliances with freon). FREE. Sears Parking Lot at Northgate Mall, 1058 W. Club Blvd. The class will make fresh chorizo, hot italian sausage, and a pasta dish using dough made with your own hands. Cost $40. With Old Flings / To Hell with Babe Ruth. Admission $8 (with $3 membership).. Followed by Left & Right and The Fooligans (rock/garage/alt). FREE admission. Concert and light refreshments following. FREE admission. Glenn School Road Baptist Church, 1815 Glenn School Rd. A special concert to honor the life and legacy of Martin Luther King, Jr. The Durham Symphony will be joined by the NCCU University and Alumni Choirs, under the direction of Dr. Richard Banks and the gifted soloist Brandi Hancock, protege of Dr. Loñieta Aurora Thompson Cornwall of Shaw University in Raleigh. The concert will include an encore of "Eulogy for a Dream” by William Henry Curry, with narrator Anthony Wilson of WTVD, reading from Dr King’s words. The concert will feature the orchestra performing P. Creston’s "A Rumor," O.Respighi’s "The Birds," E. Bloch’s "Concerto Grosso no.1," and A. Ginastera’s "Variaciones Concertantes." Tickets $20, FREE for students. Explore the forest and river's edge for signs of beaver activity and their lodges. FREE, and no registration necessary. Featuring Baron Von Rumblebuss,. FREE admission (tip jar passed). Political Strategist Donna Brazile will speak. Open to the public. Four miles of team X Country running. Registration at 9am; Race starts at 10am. Eno River State Park, 6101 Cole Mill Rd. Sermon by Rev. Dr. James A. Forbes Jr.
Rev. Forbes, founder and president of the Healing of the Nations Foundation, will talk about Dr. Martin Luther King Jr.'s legacy in the MLK Day sermon. Open to the public. Watts Street Baptist Church, 800 Watts St.
With special guiest, comedian Terry Tuff. Tickets $40 and up. Speaker: Evangelist James Payne, international song writer, recording artist and pastor.